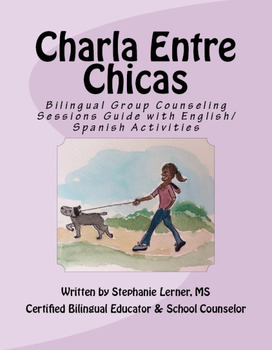 This bilingual girl empowerment guide includes 8 sessions of activities and information to empower girls ages 8-18 to be confident, productive members of society. 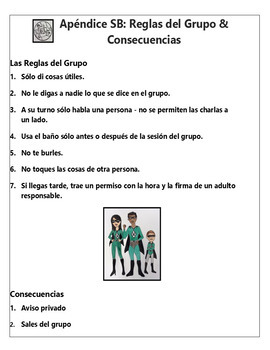 Through team building activities such as role plays, art projects, discussions, and journaling, this guide will keep your girls sharing and caring about topics like making friends, body image, fostering healthy relationships, avoiding rumors, and handling "mean girls.” It was especially created with bilingual/ESL populations in mind—it is the only one of its kind that has Spanish translations of the student materials. 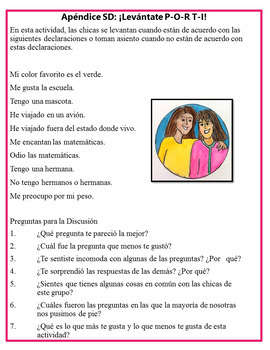 In addition, this girl empowerment guide is also an excellent tool for counselors working with English-speaking populations as the guide itself is in English and English student materials accompany the Spanish student materials. 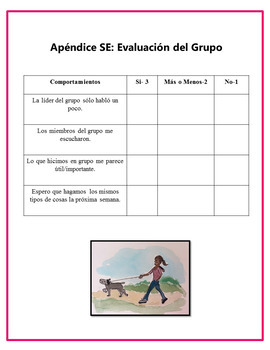 With this publication, you will receive: a sessions guide with 8 weekly one hour sessions (ENGLISH), a recommendations guide for running a girls empowerment counseling group (ENGLISH), a parent permission letter (ENGLISH/SPANISH), data templates for analyzing student progress (ENGLISH), templates for session notes (ENGLISH), group rules (ENGLISH/SPANISH), weekly group evaluations (ENGLISH/SPANISH), games (ENGLISH/SPANISH), informational passages (ENGLISH/SPANISH), role plays (ENGLISH/SPANISH) and more!